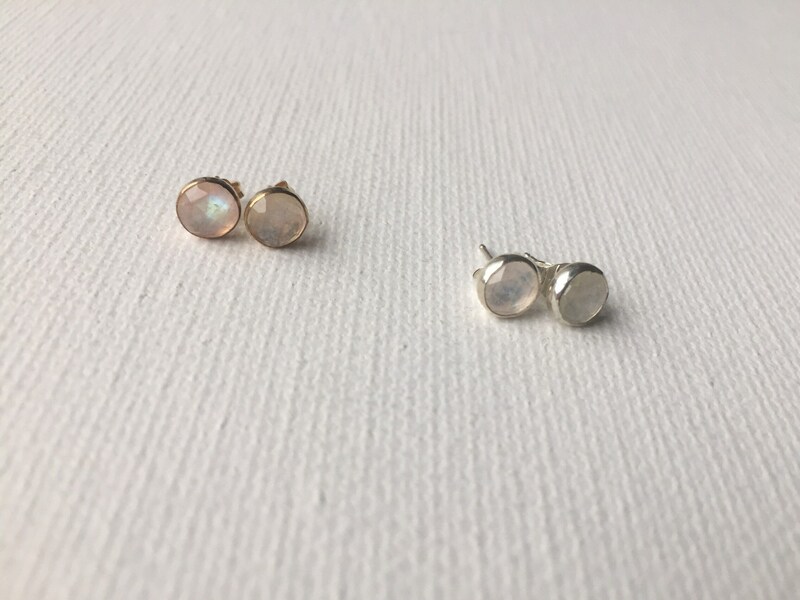 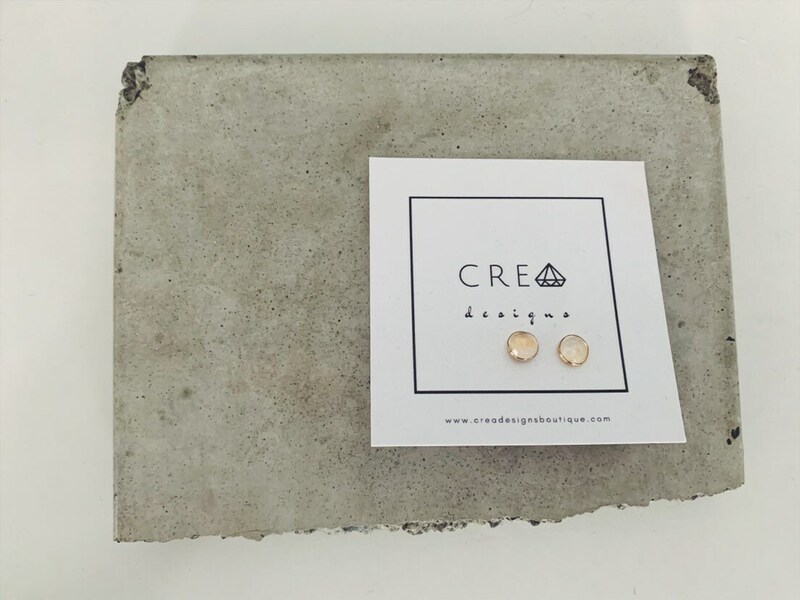 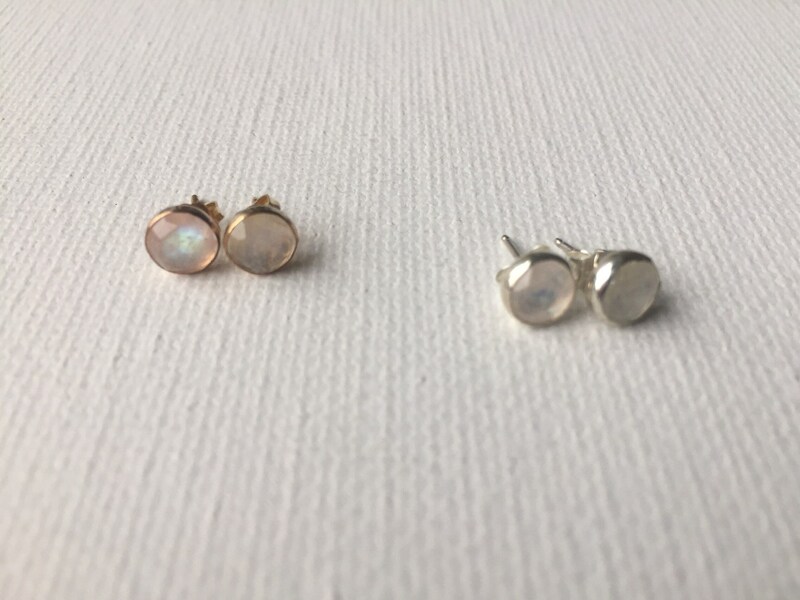 Stunning rose cut rainbow moonstone stud earrings are the perfect addition to your everyday look. 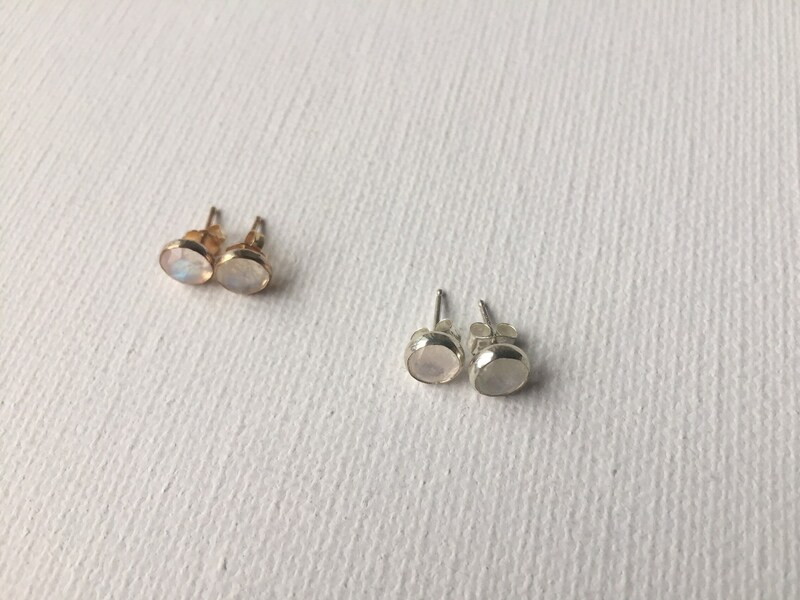 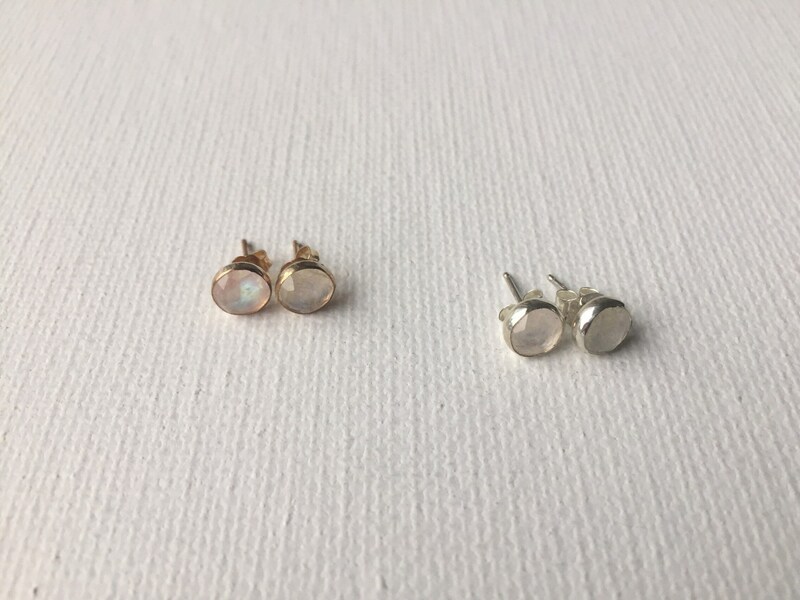 6mm moonstone bezel set in your choice of 14k gold fill or sterling silver. 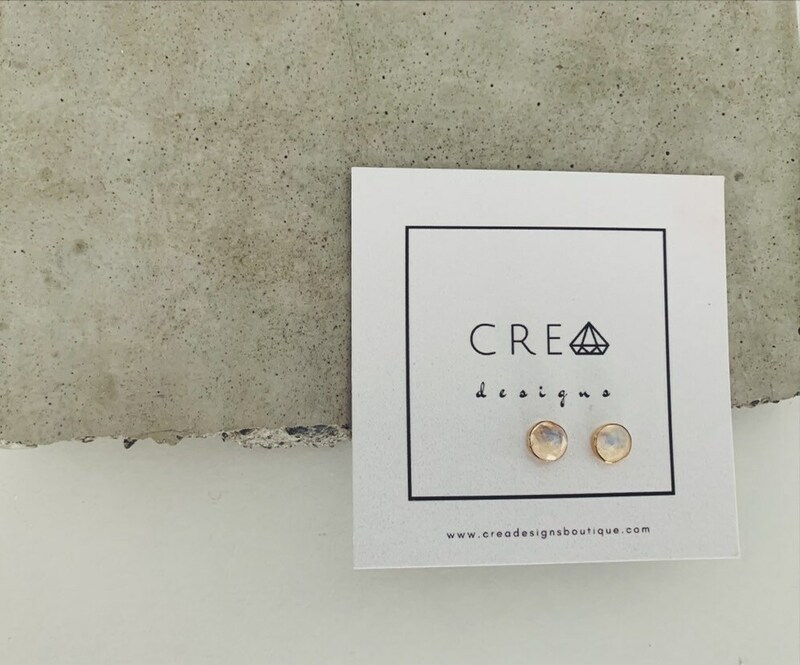 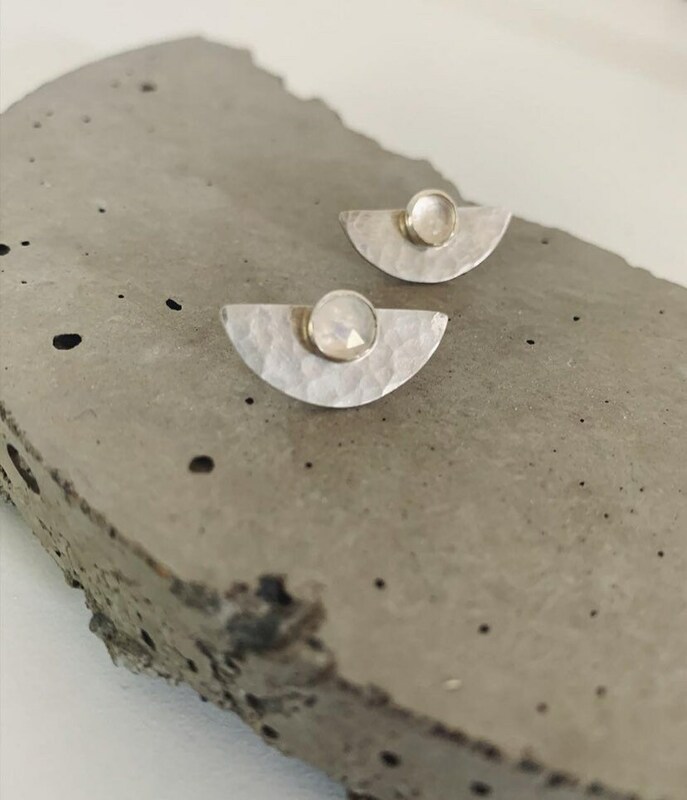 Semicircle earring jackets in last picture sold separately, but make a beautiful addition for a transitional look, see link below!